This will be an exciting week for me. A few months ago I was asked by Cristiana Perrella, a curator hired by the Fondazione Marino Golinelli, to participate in a show revolving around how man has been shaped by the world around him. The show will be titled From 0 to 100. The New Ages of Life. The show will be the third in a series of shows that focus on how the world has shaped human beings. The show will be a combination of art and science, two disciplines that I think actually have a lot in common. Included in the show will be some of the biggest artists around, and I am really excited to be included. Some of the artists included are Cindy Sherman, Ryan McGinley, Guy Ben-Ner, Nan Goldin, Rineke Dijkstra, Louise Bourgeios, John Pilson, Martin Creed, Hans Peter Feldmann, Stefania Galegati, Ottonella Mocellin, Nicola Pellegrini, Gabriel Orozco, Adrian Paci, and Miwa Yanagi. There will also be a catalog with the show. 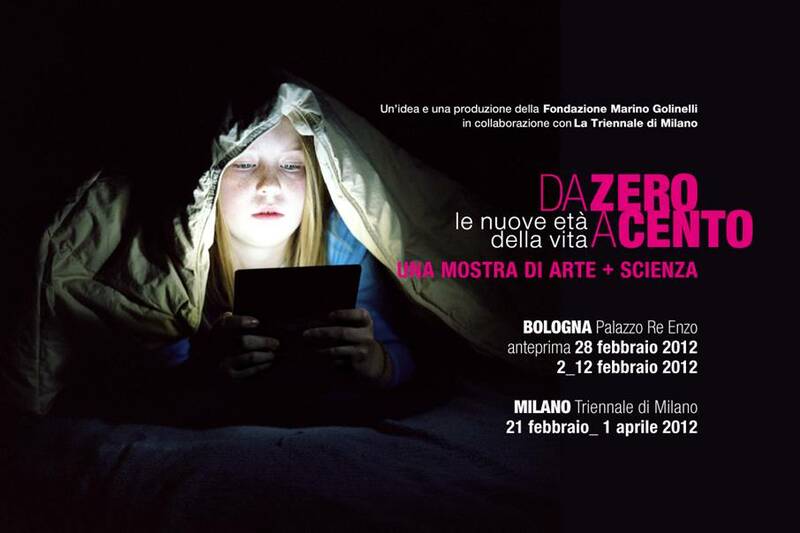 The first show will be at the art fair ARTE-FIERA in Bologna and will only run from January 28 – February 2nd. That show will be very short and will function as a preview for the larger show. The larger show will be at the Triennale Bovisa in Milan and will open on February 21 and run through the beginning of April. There is the possiblity that the show may also travel to Rome, although that has yet to be confirmed but for now I’m keeping my fingers crossed. There were 16,500 visitors at the last iteration of the show, which took place last year, and I am hoping the crowd is even bigger this time around. 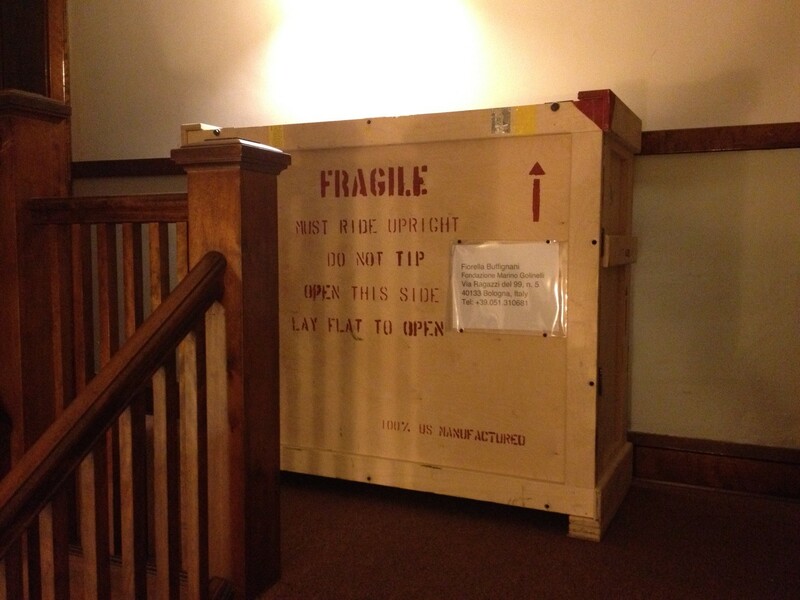 Last week I got to have the pleasure of trying to get the work (four pieces from my Illuminati series) back from the show in Milwaukee and crated back up and prepared for the trip across the ocean. I have never had to do international shipping by myself before, so there was a little trial and error, but (with some help from DHL) all was worked out. 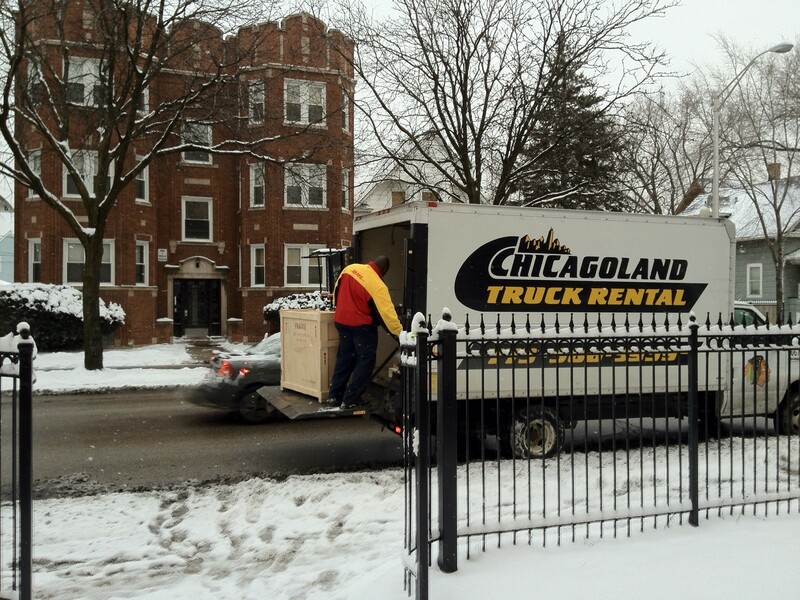 Then, DHL was nice enough to help me get the 300lb crate down from the second floor of my building. But, all should now be taken care of, and hopefully the work is getting ready to go on the wall. I only wish I could be present for the opening.